Little, Brown Books for Young Readers, 9780316203791, 448pp. You want ninety? Fine, I'll give you ninety. I'll give them to you coming and going. Acclaimed author Sean Beaudoin's latest offering is raw, razor-sharp, and genuinely hilarious. 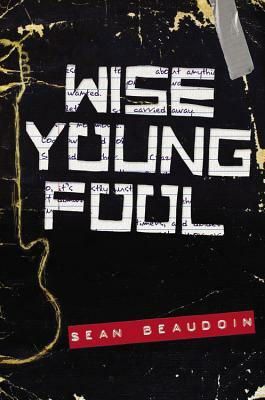 Sean Beaudoin is the author of Going Nowhere Faster, which was nominated as one of YALSA's "Best Books for Young Adults"; Fade to Blue, which was called "Infinite Jest for teens" by Booklist, You Killed Wesley Payne, which was a Booklist Editor's Choice; and The Infects, which was called a "wickedly unpredictable adventure" by Publishers Weekly. His short stories and articles have appeared in numerous publications. Sean's website is seanbeaudoin.com. "Larger-than-life characters....Behind the music quest, sarcasm and pursuit of girls, however, lies a more complicated and often compelling story about family, grief and flawed coping mechanisms."